With the amount of parties this year, it's probably no surprise at some point during the month you'll be feeling it after a night out. Yes, it's great to drink and dance the night away and I'm not saying don't do it, however you should have your fridge stocked up so you aren't regretting everything the day after. 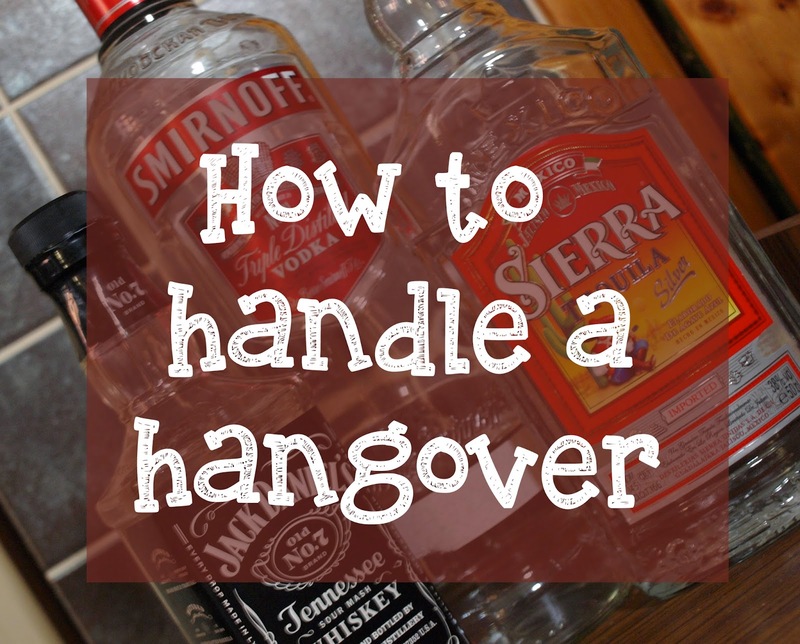 Here are my tips to help reduce and handle your hangovers. Sometimes you just want to get straight into bed with make up on, and sleep forever. However, to help your head in the morning you should drink (slowly!) at least a pint of water before bed. Alcohol really dehydrates you which is why your skin might feel like crap after, and water will help. Do you ever wake up after only a couple of hours sleep? That's your brain wanting some hydration or sugars. Grab some water, a slice of bread and sip and munch away. A thing that took me a while to learn, sometimes you really don't need to drink that much. I'll admit it, I don't really know my own limit. One minute I'm fine and then I go toilet and my world caves in. Over time however, I've slowed down what I drink. For example, I usually get a vodka and lemonade so it's in a glass and not a bottle. I don't like drinking on the dance floor because well I'm holding something and also it could spill quite easily. To slow down I slowly sip my drink, talk with friends e.t.c and then dance empty handed for however long. I also recommend taking some mints in between each drink so you won't like the taste and it slows you down. You don't need to always have a drink in your hand to have fun! A smoothie is always great for making you feel better as it's a great pick me up and with the right ingredients, it's great for hangovers too. Bananas, spinach and kiwi are great to get some vitamins in your system fast. Avoiding citrus fruits such as oranges is also a great idea if you are feeling a little sick as they do not help settle stomachs. As I said earlier, your skin can soon feel tight and dry after a night out. I always like to use a really hydrating moisturiser to help my skin out. I take my time to work from the inside out however a mask and then moisturise can give your skin a good head start on recovering. Unfortunately, pain killers don't really help a lot. If you take one before bed, you might end up feeling more sick when you wake up as it irritates the stomach. Instead of paracetamol, try some vitamins that the body needs, such as B12. This will help you feel more refreshed and it's better for you in the long run too. Something I go to straight away when I'm feeling sick is ginger beer or tea. Ginger helps settle the stomach and is great for the day after a night out. Coconut water is also great to drink as it has electorates like in the human body. If you don't like the taste of ginger, peppermint also helps. Following these tips will be sure to help your hangover disappear fast, and you can enjoy your nights out even more! What are your hangover tips?